“Bugger this one’s down the drain,” Tim Robinson concedes he and most of his Wellington College First XI cricket teammates were thinking late on Friday afternoon at the Lincoln Oval in Christchurch. In the penultimate fixture of the national championships, Auckland winners King’s College only required a run for victory to end Wellington’s unbeaten streak. King’s had nine balls remaining and four wickets to spare. What happened next was truly extraordinary. “Harry Chandler got a caught and bowled and no one really celebrated except Harry," reflects Robinson. Muhammed Abbas succumbed in the same fashion as Cory Dickson three balls later and suddenly King’s had the jitters. “Dylan Sharima is our best bowler and we knew he would be on the money," says Robinson. Kavi Minhas was trapped leg before wicket three balls into the 49th over and then absolute chaos reigned when Joshua McArdle and Devan Vishvaka combined to run out Hari Kukeja. Robinson reckons it was the most insane game of cricket he's ever played. A week earlier Wellington College had narrowly lost the local decider by two wickets against Hutt International Boys’ School. Robinson believes the setback strengthened resolve. “We’ve had a reputation for having a bit of a soft underbelly, not wanting it enough when things go against us. We were determined to fight for everything at Nationals. We're at our best when we put runs on the board. When we know what we’ve got to work with we can put the pressure on." Wellington batted first in all of its victories, but the most telling was the last against defending champions Christchurch Boys’ High School. “I was surprised when Christchurch won the toss and put us in," muses Robinson. "It was a winner takes all situation and in those games we like to set a total." Wellington comfortably beat Christchurch by 40 runs with Tim Campbell in the thick of the action again making 59. Campbell was the leading run-maker at the tourney amassing 379 runs at 75.80. The next best performer was Nathan Robinson from King’s who scored 221 runs at 55. Robinson marveled at Campbell's consistent production. 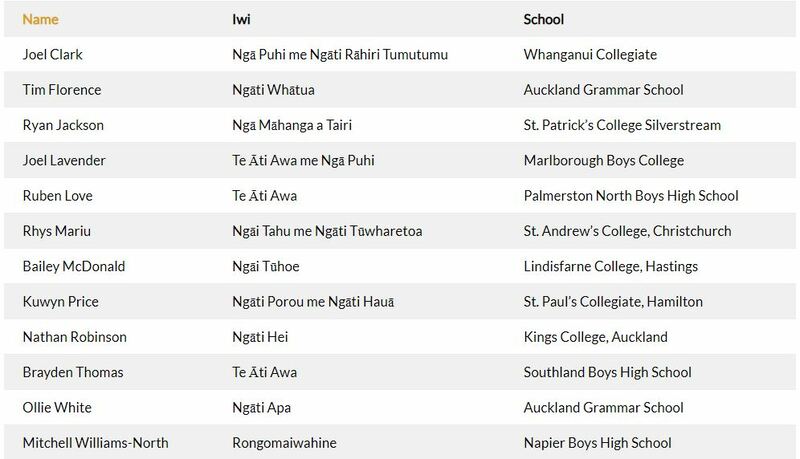 Louie Chapman from Christchurch Boys’ High School was the leading wicket-taker sneering 13 victims at 15, but the next three highest wicket-takers were all from Wellington College. Dylan Sharma and Harry Hunter shared 10 each, while Robinson enjoyed a haul of nine at the lowest average of anyone (14.44). He also made 87 runs in five innings and concedes a “few stupid shots” and “bad luck” prevented a greater contribution with the bat. Robinson’s best performance was on the first day when he claimed a five-wicket haul against King’s High School. Robinson has been plagued by a back injury and has remodeled his action. In addition to cricket Robinson is a leading javelin thrower, having won the intermediate title at the National Secondary Schools Championships in 2017. He was fifth in the senior grade this year behind his champion brother Cam Robinson, who will study business agriculture while training at Massey University in Palmerston North next year. Tim is one of three First XI players to return to school in 2019.. The National Secondary Schools’ First XI Cricket Cup for girls began in 1994. Many first-class and international cricketers have made their name in this tournament and there have been four different winners in the past five years. The 2018 national Boys and Girls finals are being played in Christchurch and Lincoln University in early December. College Sport Media is profiling some of the teams involved, including here Christchurch Girls’ High School. All the girls have been training hard and putting in the hours with multiple trainings a week where we have further developed our cricket skills, mental skills and awareness as well as team culture. We are also very fortunate to have Nory from Limit Zero, helping us with strength and conditioning. Sporting Edge has been kind in sponsoring us this year by providing us with the right gear we need. We had three non-returning players to the side this year which included last year’s captain and opening batter Sophie Gray as well as power hitter Katie Hunt leaving Girls’ High to further their studies at Otago University. We have quite a young side with 3 year 9s, 3 year 10s, 4 year 11s and 1 year 13.We had a highly competitive selection process with a lot of year 9s arriving at Girls’ High this year with a number of girls just missing on the team, however with this competitiveness combined with the young nature of our side the future of girls’ high cricket is looking bright. We have gained three new players this year with Maggie Martin, Estella Wallace and Abby McKissock who have each added their own component to the team. We qualified for nationals by taking out the Canterbury secondary schools’ tournament in term 1 this year. We won all our pool games and faced Cashmere High School in the final, with Georgia Edge 73 not out and Casey Liddington 96 not out as well as Estella Wallace taking 2 for 14. 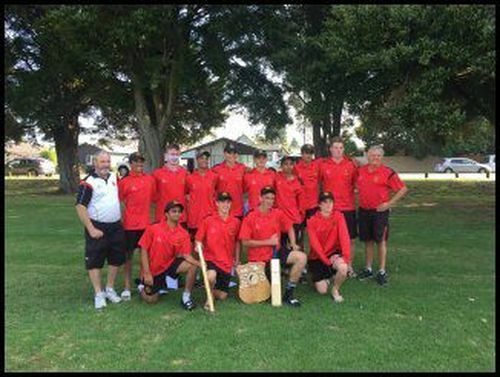 Nine of our players play club cricket with four competing in the premier grade. Aside from the qualifying tournament, the only other tournament available to girls’ secondary schools’ cricket is the twilight cricket competition which we had two junior eleven teams in. However, we had one practice game against an U15 representative girls’ side, which we have taken a lot from and developed our game further. Sarah Asmussen is the captain, and her and vice-captain Gracie Ansell and Georgia Edge form the leadership team. Sarah Asmussen and Georgia Edge are part of the Canterbury Magicians squad as well as members of the Canterbury under 21 side. Lily Collier has been involved in the U21 wider training squad this year. 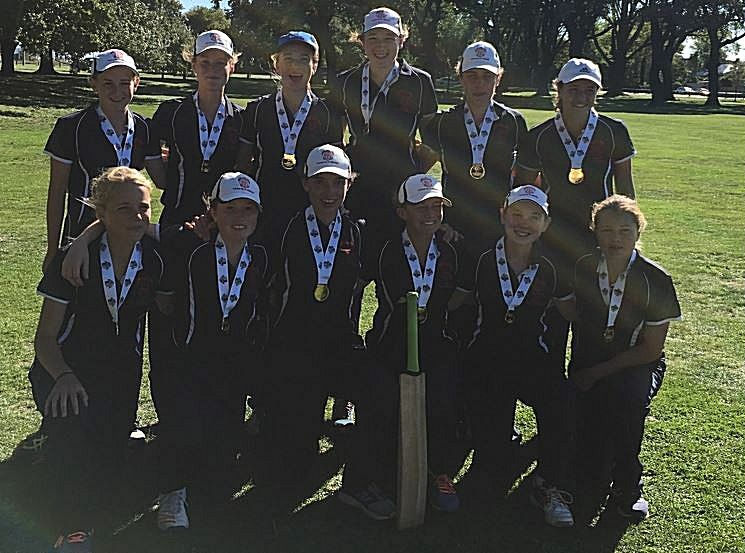 In the Canterbury under 15 teams we had Lily Collier, Maggie Martin, Estella Wallace We also had girls in CJCA rep teams (Gracie Ansell, Kate Hastings, Estella Wallace, Maggie Martin). In Junior magicians, we had Libby Stead, Casey Liddington as well as Casey Liddington in Future magicians. Libby stead represented Canterbury Country in U17, In Christchurch metro, U18 was lily Collier, Sarah Asmussen, Georgia Edge and Casey Liddington. Petra Jack plays volleyball at a high level which she represented the South Island in age group tournaments this year. Gracie Ansell was vice-captain of the successful First XI CGHS hockey team which came third at the Federation Cup this year. She is also in the U15 A Canterbury hockey team. Lily Collier and Sarah Asmussen played in the Canterbury U18 indoor team as well as Joey Hull and Sarah Asmussen playing in the Canterbury U22 indoor team. Casey Liddington will be one to watch with the bat because of her consistency of performing at CGHS tournaments. Georgia Edge will be one to watch with the ball with her left arm pace as well as Libby Stead and Sarah Asmussen with spin. The teams we are up against are very similar to the teams that we played last year. It will be a tough competition and we are looking forward to it. For some girls, it will be a very new experience, playing such high-intensity games over a short period of the time however, it’s great to have many returning players who know more about the level and intensity involved. The format is a five-match Twenty20 series before the top two sides meet in the final and 3 plays 4 and 5 plays 6 on the afternoon of the third day. Christchurch Girls’ High School plays Wairarapa College and then Tawa College on the opening day, followed by Epsom Girls’ Grammar School and Tauranga Girls’ College on day two and then St Hilda’s Collegiate on the morning of day three before the finals. 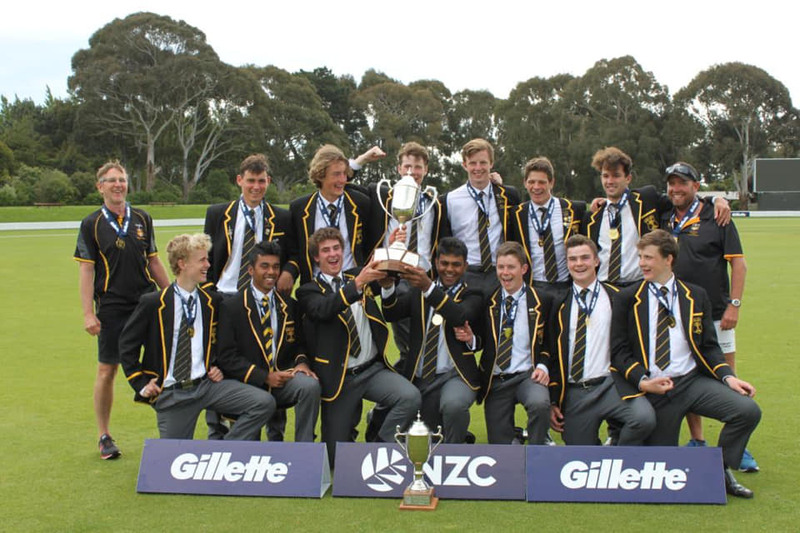 St Hilda's Collegiate - Otago regional winners earlier this year. The 2018 national Boys and Girls finals are being played in Christchurch and Lincoln University in early December. 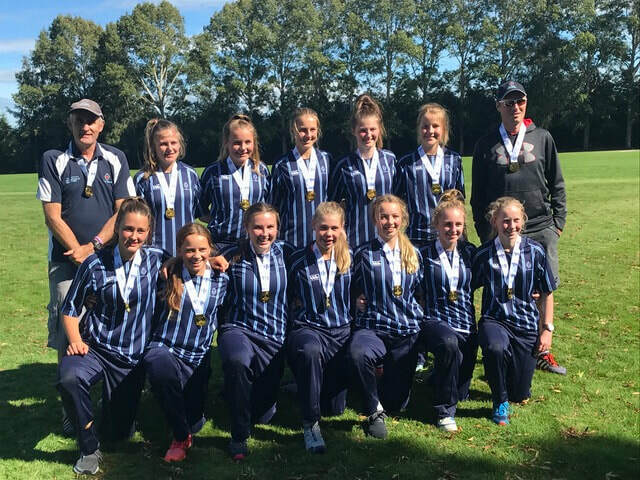 College Sport Media is profiling some of the teams involved, including here 2016 champions St Hilda’s Collegiate from Dunedin. Olivia Gain (captain), Emma Black vice captain, Megan Meltzer, Eden Carson, Molly Loe, Olivia Hall, Anna Duncan, Pippa Clarke, Jordan Meltzer, Chloe Deerness, Taylor Duffy, Summer Phillips, Gemma Rowcroft. Six players are in the Sparks/U21 Otago squad so they are getting lots of cricket at the highest level and the others do play Wednesday cricket. St Hilda’s has three present Otago Sparks. 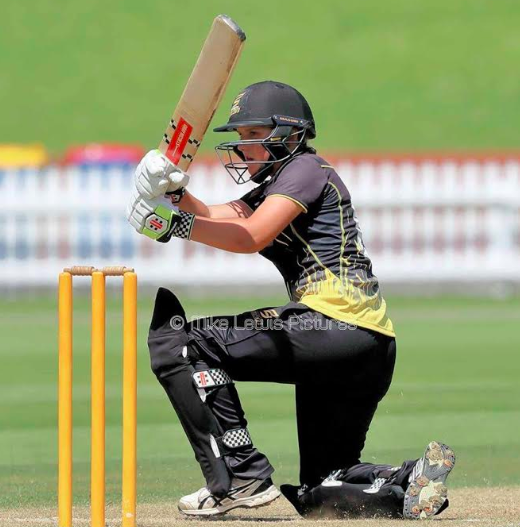 Olivia Gain is captain and she recently scored a 60 against the Wellington Blaze at the Basin Reserve. She will be attending her fifth consecutive national tournament, as NZC gave St Hilda’s dispensation in 2014 to include her when she was in year 8. This is unconfirmed but might be a first. Emma Black. PHOTO: Mike Lewis Pictures. ​Emma Black is the opening bowler who is attending her fourth nationals. Eden Carson, is an off-spinner and debuted recently against the Blaze too. As well as these three, Megan Meltzer and Molly Loe are in the Otago U21 team for their nationals just prior to Christmas. Seven players are returning from the 2017 team. The remainder are aged from Year 9 to 11. St Hilda’s played their qualifying games in Term one, beating Wakatipu High School and Blue Mountain College - both by 10 wickets. Eden Carson. PHOTO: Mike Lewis Pictures. On the draw and other teams this year. St Hilda’s plays Tawa College and Tauranga Girls’ College on the opening day, Wairarapa College and Epsom Girls’ Grammar School on day two and Christchurch Girls’ High School first up on day three before the final games in the afternoon. 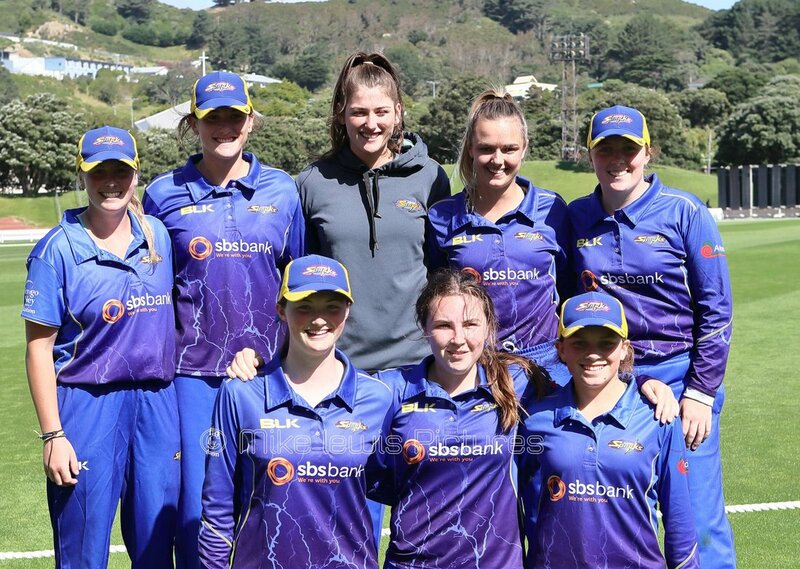 Eight current and former St Hilda's Collegiate players were in the Otago Sparks team that played the Wellington Blaze at the Basin Reserve recently. The National Secondary Schools’ First XI Cricket Cup for boys began in 1990 and is among the longest-running competitions in secondary school sport. Many first-class and international cricketers have made their name in this tournament. The 2018 national Boys and Girls finals are being played in Christchurch and Lincoln University in early December. Starting with capital representatives Wellington College, College Sport Media is profiling some of the teams involved. Devan Vishvaka, Dylan Sharma, Tim Robinson and Hugh Morrison represented Wellington at the U17 national tournament and Vishvaka and Sharma were members of the champion Wellington U19 team last season. Vishvaka, Sharma and Robinson have been joined by Harry Hunter and Tim Campbell in the Wellington U19 team for the December 2018 tournament. Ollie Petersen was not considered for the team due to injury. This is the first time Wellington College has represented the Wellington region at this tournament for 10 years. Hutt International Boys’ School were the Wellington participant last year defeating Wellington College in the regional final. HIBS won the title in 2015 so Wellington will be looking to repeat that feat. Wellington College are the College Sport Wellington Premier Youth Grade champions, having only lost one match. To qualify for Gillette Cup the team participated in a tournament that is separate to the Premier Youth Grade. Schools were split into two pools and the winner of each pool played each other in the final at The Basin Reserve. After wins against St Pats Town, Tawa and Hutt Valley High School, Wellington College played the final against St Pats Silverstream. Batting first, Wellington scored 260/8 and bowled Silverstream out for 151 to win by a commanding 109 runs. 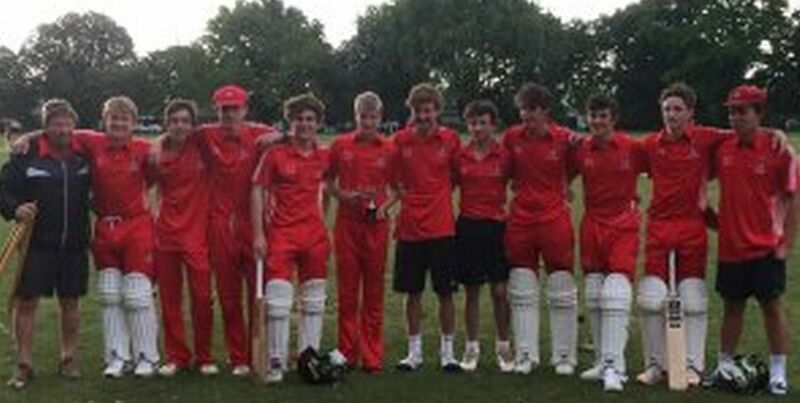 Wellington College has a batting lineup that is capable of posting a good score with five of the top six batsmen being in the Wellington U19 winter squad but it may well be the ability to contain and take wickets on the Lincoln pitches that determines results, particularly if the wickets flatten up. The team fields well and this will be important against good opposition. The team has nine returning players from last year and is an experienced squad, with all bar three members in their final year at school in 2018. A memorable match was a very recent one played against strong rivals, HIBS. After the match was transferred to an artificial wicket at HIBS, Wellington could only muster a score of 139 and only reached that after a 42 run partnership for the final wicket. Wellington then bowled out HIBS for 111. It was a determined and disciplined performance by all in the field and a strong test of character. Co-Captain Ollie Petersen is also the captain of the Wellington College 1st XI football team, and Dylan Sharma is a member of the same team. Hugh Morrison and Tom Valentine play for the First XI hockey team and Sam Edlund is a member of the First XV rugby team. Tim Robinson excels at athletics where he is the NZ Secondary Schools junior champion in the javelin. Tom Blundell is the latest test cricketer from Wellington College, while 2016 First XI captain Jakob Bhula has debuted for the Firebirds this season. Rain might have wreaked havoc at the start of the cricket season in many parts of the country, especially in Wellington, but the sun is shining at Lindisfarne College in Hastings after the First XI successfully defended the Hawke's Bay Cricket Association Division 1 Twenty20 title. In Saturday’s final, Lindisfarne accounted for the Cornwall senior men, having tamed Taradale in their semi-final. 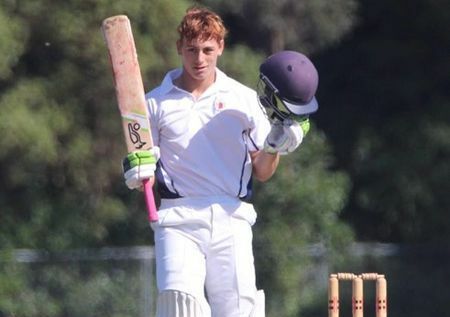 After losing their first pool match three weeks ago against Hastings Boys’ High School, Lindisfarne rallied to defeat St John’s College and Napier Boys’ High School to earn a place in the semi-final which was won by seven wickets. In the final at Cornwall Park, Cornwall batted first and were restricted to 117-9 in their allotted overs. Lindisfarne was polished and aggressive in the field while the bowling effort was spearheaded by Tom Klingender who claimed figures of 4-12 while Brandon Roberts chimed in with 2-8. Lindisfarne’s pursuit of the paltry total wasn’t without wobbles, and it one stage it was conceivable the schoolboys would fall short. However Fred Gibson with 32 not out and Sam Moore with 25 not out combined to guide Lindisfarne to a four wicket triumph with eight balls to spare. The Lindisfarne team in the final was: Sam Ferguson, Fergus Whyte (Sports Prefect), Harry Mowat (captain), Bailey McDonald, Hunter Lowe, Freddie Gibson, Jack Hammond, Sam Moore, Brandon Roberts, Tom Klingender and Fred Mowat. The team was coached by Mr Schaw and Mr Hay. Amelia Kerr playing for Wellington last summer. PHOTO: Mike Lewis. 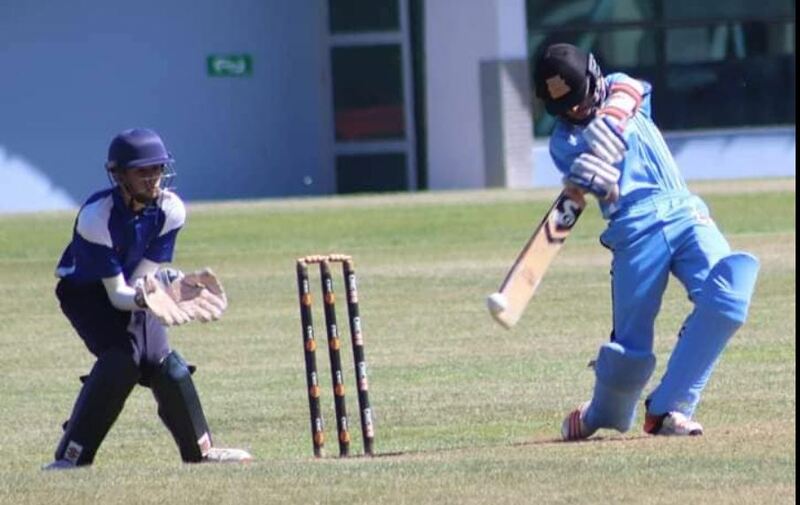 Tawa College year 13 student Amelia Kerr set a new world batting record in women's one-day cricket with her unbeaten 232 against Ireland in Dublin overnight. Kerr, 17, broke the record total during the third match of their series. In an age of bash and smash, she hit just 31 fours, and just two sixes. Opening the batting, she faced 145 balls. She scored her first century off 77 balls and surpassed her previous highest scored for the White Ferns of 81 not out last week in the same series. If that wasn’t enough for her to put her feet up the leg-spinner then took 5-17 with the ball as Ireland were bowled out for 135, chasing 441 to win. Australia's Belinda Clark had held the record - 229* against Denmark in 1997, three years before Kerr was born. At 17 years and 243 days, Kerr is also the youngest double-centurion in the format across genders. Kerr's 232* is the third highest score in ODI cricket history. India men's player Rohit Sharma is at the top of the pile with his 264 scored against Sri Lanka in 2014, with the unbeaten 237 made by New Zealand's Martin Guptill, against West Indies in 2015, holding second spot. She was also involved in a 295-run partnership for the second wicket with Leigh Kasperek (113) which is now the second highest partnership in women's ODIs, behind Deepti Sharma and Punam Raut's 320 against Ireland in May 2017. The stand is also the women's ODI record for second wicket and a New Zealand record for any wicket. Two years ago,Kerr become the first person to score more than one Twenty20 century on the famous Basin Reserve cricket ground in Wellington, scoring 108 off 79 balls. In February last year, she scored the 100th century scored in the New Zealand's women’s domestic One-Day competition - she bet Sara McGlashan to it by 14 minutes. She also became the youngest ever centurion in the competition – a tick over two years younger than Suzie Bates was when she scored 183 not out against Auckland when she was 18. “At the moment I’m in the New Zealand squad as a bowler, but at every other level I’m considered an all-rounder as well,” she told College Sport Media after this feat. “At the start of the [Wellington] Blaze season I was batting about seven and then I worked my up to be opening. It appears she has achieved that goal!